PlanetPunjab will be reviewing India at the 2012 London Olympics. Tune to this page for medal tally, the latest day’s review and what to look for in the future. Sushil Kumar won Silver medal in Wrestling to bring India’s final count in the 2012 Olympics to six medals, doubling their medal count from the previous games. Yogeshwar Dutt had a great final round in Wrestling as he secured another medal for India : a Bronze in Wrestling. Mary Kom lost her semifinal match in Boxing. However, she won Bronze medal adding the medal tally to 4 for India. A lot was expected from Devendro Singh Laishram in boxing, however, he lost in the QuarterFinals. Though it must be stated that he has a bright future in boxing for India. Mary Kom has secured atleast a Bronze for India in Women’s Boxing. A lot is expected from her and she might go all the way to glory for Gold. Vijender Singh has bowed out in the QFs in boxing against Atoev. India failed to impress in Archery. J Talukdar, C Swuro were defeated in the round of 32. R Banerjee and Tarundeep Rai won their respective matches in the round of 32 but bowed out in the round of 16. The mixed doubles duo of V Diju and Jawala Gutta lost their match and thus could not advance to the next round. In boxing, India did well. In the first match, Devendro Singh Laishram won his match comfortably with two knockdowns in the Men’s Light Fly (49kg) division and qualifies to next round of 16. Manoj Kumar won his match as well in the Men’s Light Welter (64kg) division defeating Serdar Hudayberdiyev of Turkmenistan. Hence advancing to the round of 16. In the women’s 63kg division, GarimaChaudhary lost the match Y Ueno of Japan. In the Men’s Singles Skulls, Sawarn Singh finished fourth in his heat and thus going out of the medal contention. In the Men’s Doubles second round, Bhupathi and Bopanna lost their match against the the French duo of BENNETEAU. GASQUET Richard GASQUET R.
In the Men’s 69kg division, KATULU Ravi Kumar finished 15th. Day 3 was a mixed bag for India. 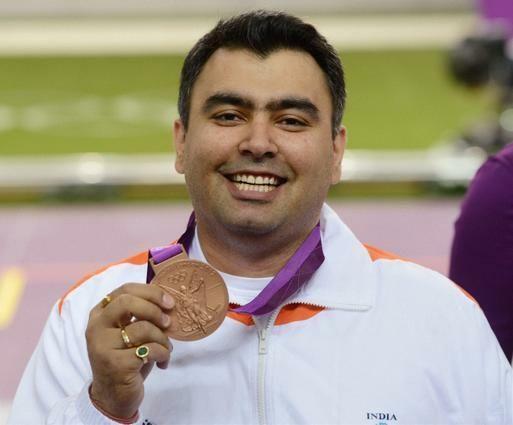 India opened its account with Gagan Narang winning the Bronze Medal. There was controversy in the Boxing match where Sumit Sangwan was given a controversial ruling by the referees. Everybody including the commentators thought he had dominated the match howevery judges gave another decision. India lost 2-3 to the Netherlands in their first match at the Olympics. After trailing 0-2, India did well to fight back and tie the game at 2-2. However, the Dutch came out on top at the end of the day with a score of 3-2.